Here’s a picture of my growing Rilakkuma buddies. There’s also another one that came from my best friend from our exchange gift! 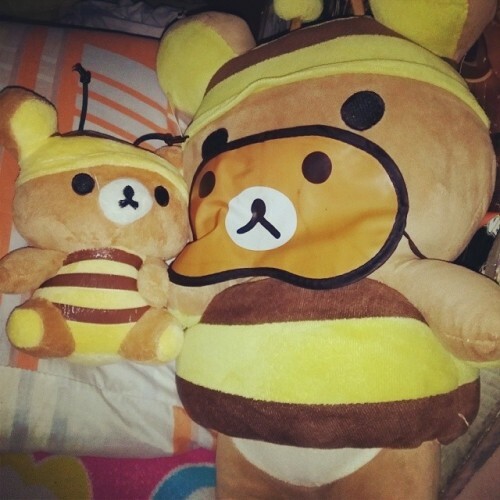 I so love Rilakkuma! I also bought a Rilakkuma toy car after my best friend tagged me in Instagram. I just had to have it! So finally, I saw it at eBay and lucky me that no one else was bidding so yeah, I won! That will be for another post though 😛 More Rilakkuma buddies to come to me! Heehee. I’m hoping I can get tons of them this coming March since it will be my birthday!